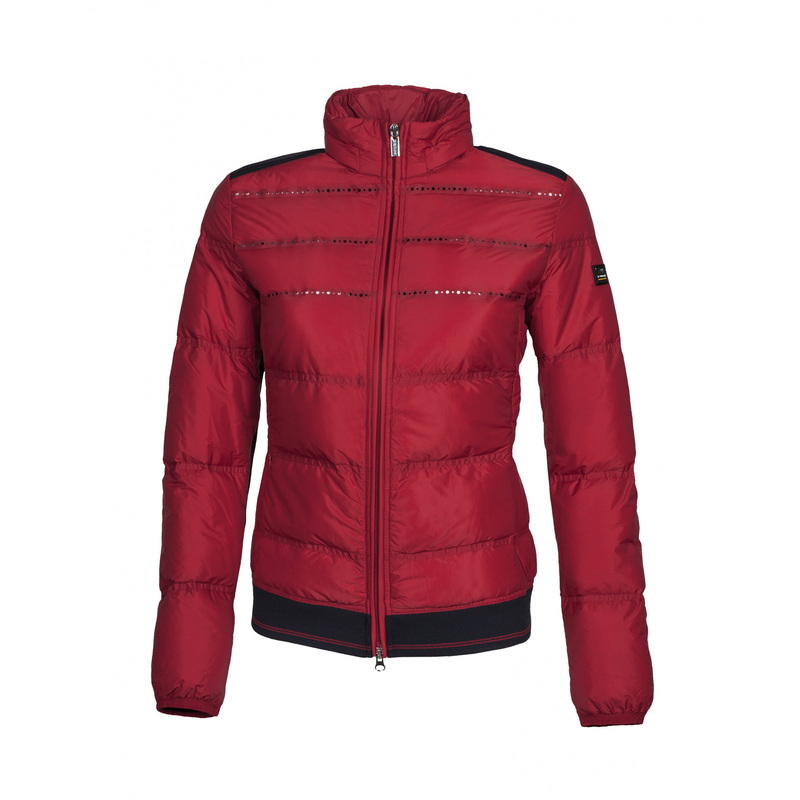 Ladies' jacket Ruby made in such a way that is maintains a stable body temperature while still being light. 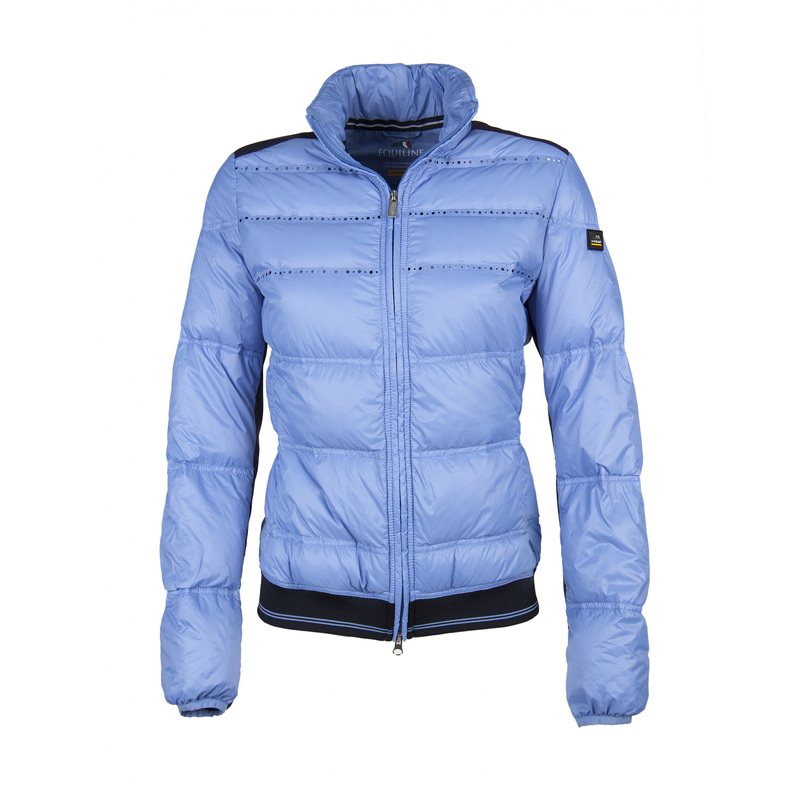 Its rectangular quilting on the front is padded with a very soft and warm filling. 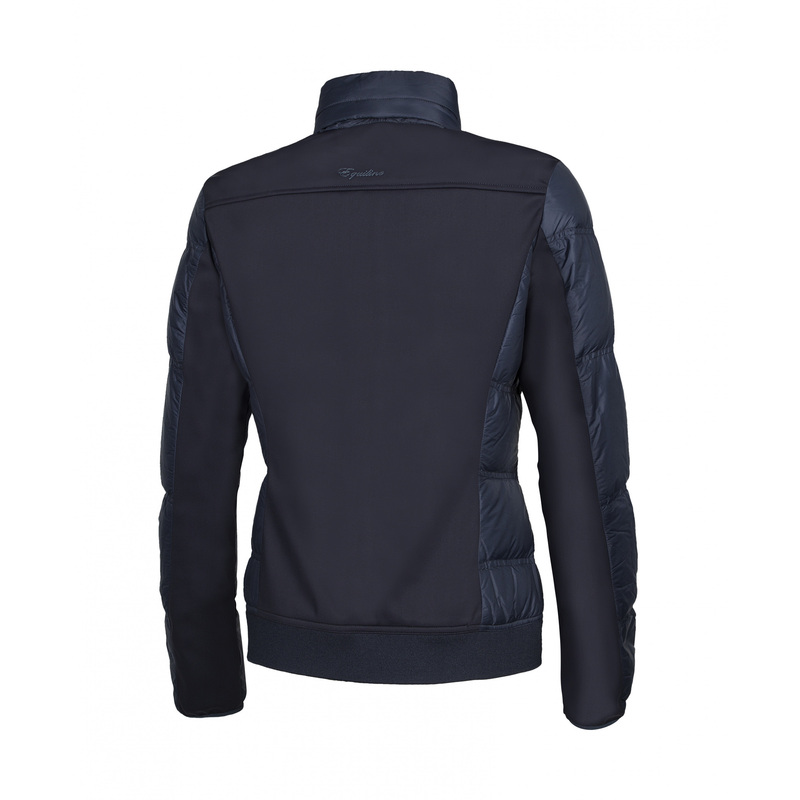 The back of the jacket and sleeves is covered with material with Dual-Tech technology, which provides wind resistance while maintaining breathability and lightness of the material. 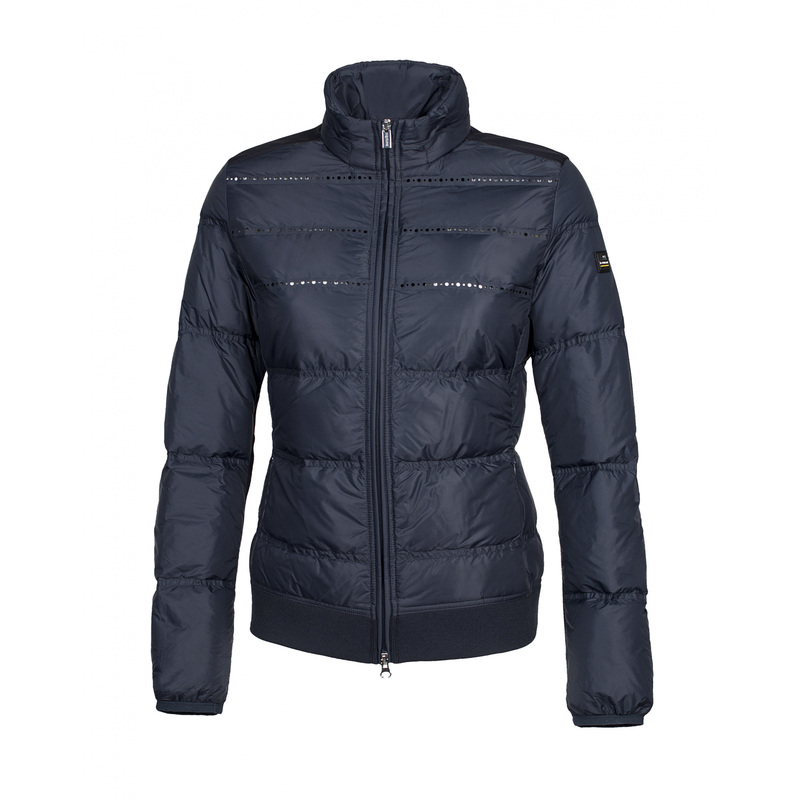 The front of the jacket is decorated with very elegant shiny beads. 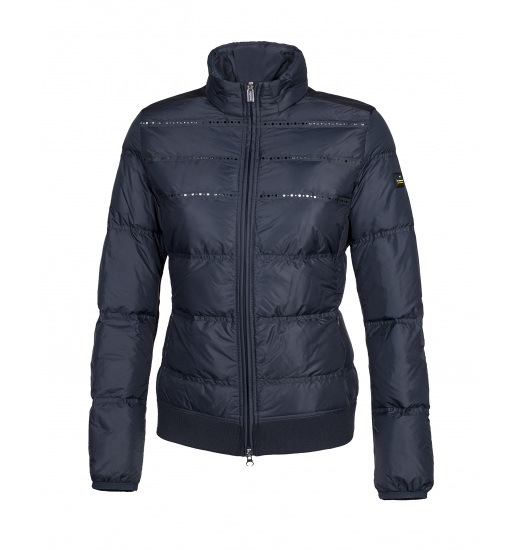 It is fastened with a high-quality zip, and has an elastic bottom on the hips. 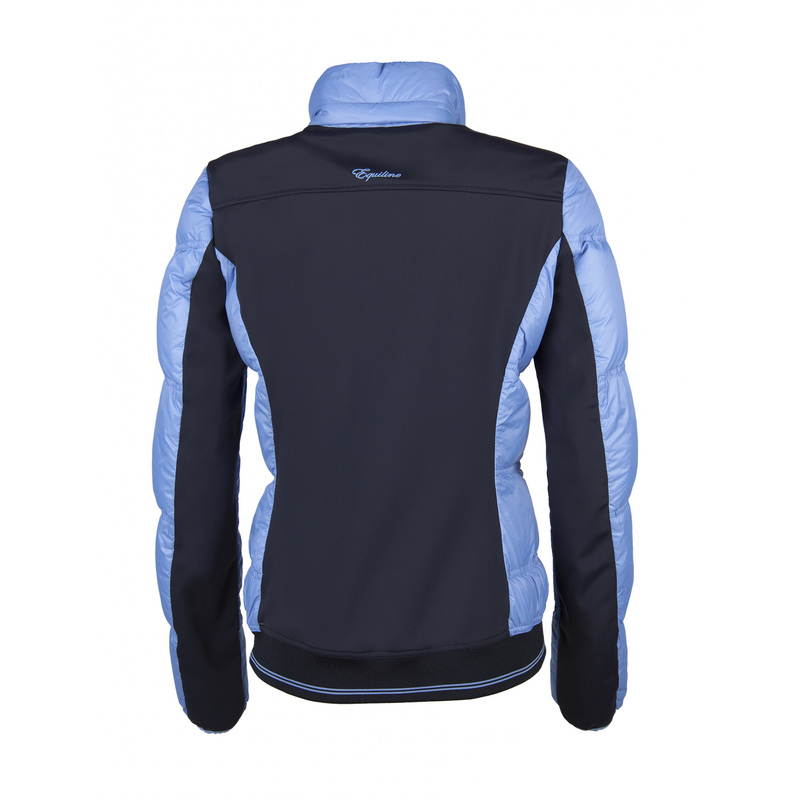 An Equiline writing is embroidered on the back of the neck, and a small logo is on a shoulder.